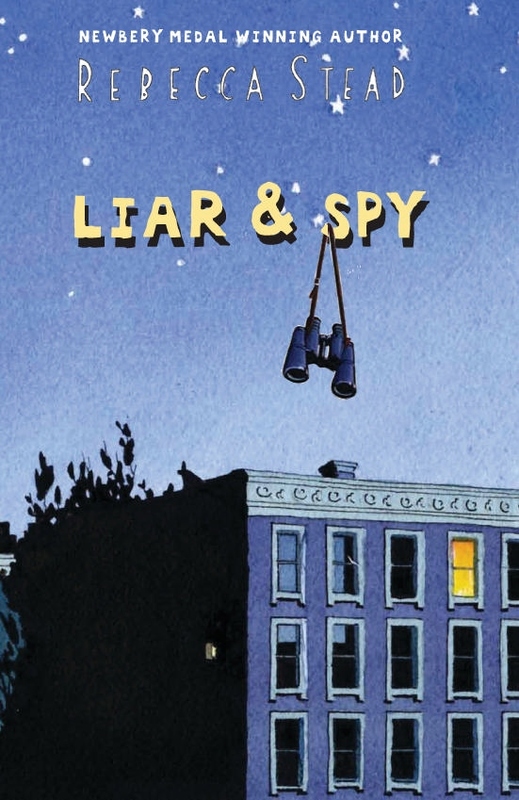 When Georges moves into a Brooklyn apartment building, he meets Safer, a twelve-year-old coffee-drinking loner and self-appointed spy. Georges becomes Safer's first spy club recruit. His assignment? Tracking the mysterious Mr X, who lives in the apartment upstairs. But as Safer becomes more demanding, Georges starts to wonder: how far is too far to go for your only friend? This is the second Rebecca Stead book that I have read. I loved When You Reach Me, but I always have trouble explaining the story to people, I feel that the same may be said for this one, so I apologise if I seem to ramble! I have never been to New York, but for some reason I love children’s books that are set there. It might have something to do with the description of the apartment living, being able to walk everywhere, and having so much at your doorstep. So unlike most people living in suburban Australia, where we have to drive to do most things. So this book is set in Brooklyn, Georges and his parents have fallen on tough times since Georges’ Dad has lost his job, and they have had to move from their family home to an apartment, all still within the same mile block. Georges has a lot to deal with, he has lost his best friend to the popular group, he gets teased about his name (he gets called Gorgeous), his Dad is unemployed and he hardly sees his Mum as she works double shifts as a nurse. The one thing that has added a little something extra to his life is his new neighbours in the apartment block, Safer and his sister Candy. Safer has a spy club, consisting of himself and his sister, and he asks Georges to join. Their main observation target is the mysterious Mr X who lives in the apartment, Georges has never seen him, but safer is convinced that Mr X is up to something evil! As their friendship develops we start to learn more and more about Safer and his sister and the somewhat alternative lifestyle they lead. There are a number of quirky secondary characters that also add their own charm to the story, such as Bob English Who Draws who has a unique take on the English language...just see how he spells fish...Ghoti (see page 110)! There's also Bennie who has a Candy store and Ms Warner the gym teacher who 'high fives' Georges on Fridays. This book is a real winner for me, it is funny, quirky, a bit sad, a little mystery and there's also the added benefit of learning something about science (taste) and art (Seurat)...you can't go wrong. Like Mon says, life is like a million different dots making one gigantic picture. And maybe the big picture is nice, maybe it's amazing, but if you're standing with your face pressed up against a bunch of dots, it's really hard to tell.